I used natural framing for this twilight photo when a 1 point, straight on composition wasn't attractive. I also used my painter's pole to put my camera 16 feet in the air for this image. In almost every article I read about “How to Make Money with Your Camera” it is suggested to shoot for real estate agents. If you have a decent camera and are somewhat versed in how to use it, this can be a great way to make $50 on a couple of shoots. However, if you are looking to charge higher prices and start a business you'll need a higher level of quality. Today we'll talk about a few secrets of real estate photography that should hopefully launch you ahead of the usual crowd. This guide has been put together from tips given by a large community of real estate photographers all over the world. Real estate photography is an art, not a science, just like almost every other type of photography. Sure, you can be cold and methodical in your shooting and produce the same image time after time. However, if you are trying to produce a unique look or certain style (the riches are in the niches), implement a few of these beginner's secrets into your shooting and you'll see a big jump in how fast you get the hang of it. These are not in any particular order. 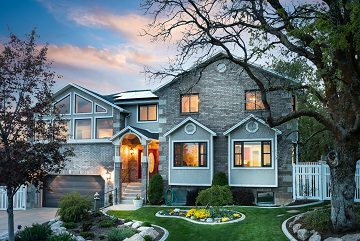 Shooting wide isn't a mistake, and it's often a requirement for selling a home. You want to show the space to potential buyers and not get too artsy. However, you don't want to shoot at the same focal length for every shot. When you zoom in, even just 10mm, you'll dramatically change the feel of a room. As a beginner photographer, my first reaction was to zoom out as far as my lens would take me and then curse the darn thing because it wasn't far enough. But, after developing more of an eye for how a room should feel, I noticed that it's OK to not get every wall in the photo. Another problem with shooting too wide is you create an unrealistic feeling of space and openness. 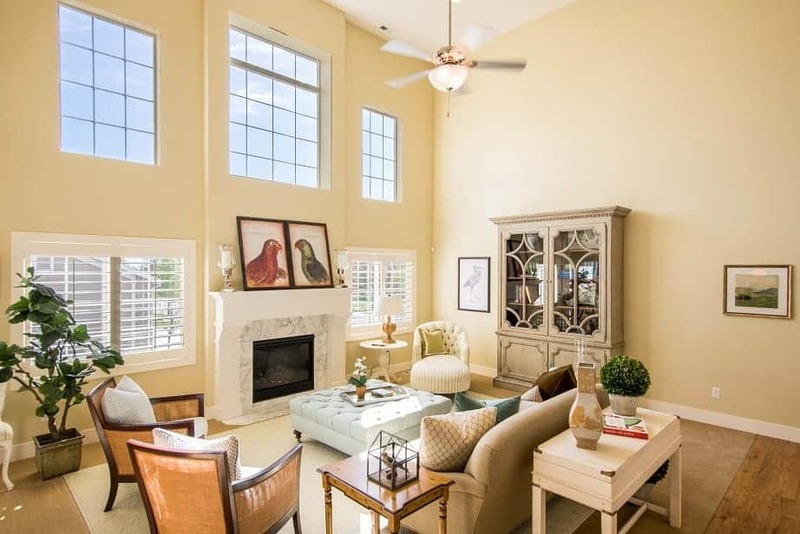 If the back wall looks really, REALLY far away in the photo, buyers might be disappointed to see that the room isn't as big as the photo made it feel. This is the typical run-n-gun style of shooting employed by many of the in-house photographers who work for real estate offices. I'm sure you've seen these kinds of photos on Zillow or your local MLS: 2 walls, carpet, ceiling, half a ceiling fan, one window. No context, nothing interesting to look at, no way to know where this room is in relation to the rest of the home. Instead, move around. Shoot over the bed, over counter tops, next to the stairs, through an archway. In other words, give context to the photo and add elements from the architecture to make it interesting. You can use 1, 2, or 3 point compositions to help you be more creative in your shooting. This brings us to our next tip. 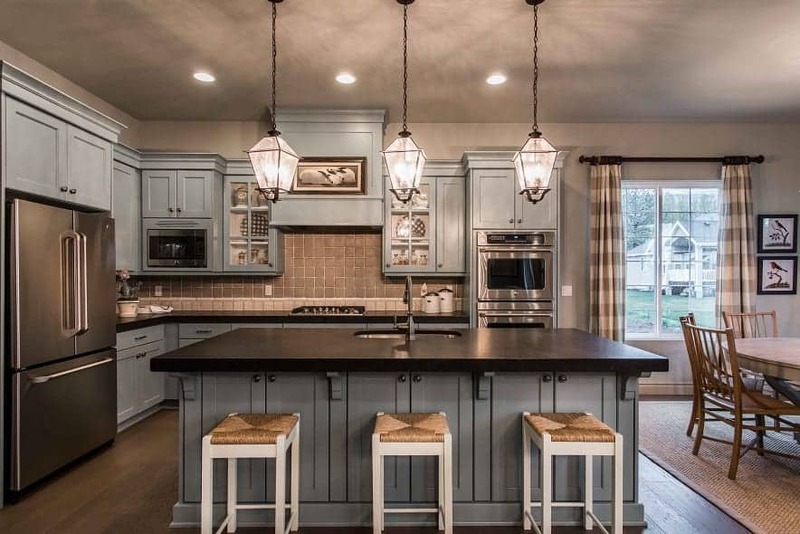 This 1 point composition makes the kitchen feel upscale and fancy. A landscape photo is broken up into 4 parts: foreground, midground, background, and sky. When all 4 pieces come together, you have an image worthy of a blue ribbon at your state fair. For real estate photography, you have to mind 3 parts (there's no sky inside…usually) to make a good photo. This won't apply in ALL cases, like if you are shooting an empty family room in a vacant house (there's literally nothing to fill the space). But, for all the important rooms of the house (kitchen, master bath) this is huge. Set up your camera in the proper position so you aren't just taking a photo, but you are making an image. Use elements like leading lines, highlights and lowlights that guide the eye, and objects that will help frame the image. For instance, taking a hint from landscape photography, you can use tree trunks and branches in the foreground to frame the house in the background (see profile image). Or you can use pony walls (half walls), counter tops, couches, chairs, or lamps to partially obscure the view of a room. This adds a natural frame and makes for a much more interesting image. Another example of natural framing using elements from the room. By placing the custom handrail in the foreground, depth is added to the photo. This may come as a huge shock, but quite a bit of really good real estate photography involves blending multiple exposures together. For instance, you have a hardwood floor that is getting some terrible glare from the windows. You can make one exposure for the room and another for the floor, bring both photos into Photoshop, use the pen tool to select the floor, and mask in the properly exposed floor. Boom, instant glare removal. The same goes for reflections on things like stainless steel appliances or if your flash is in the perfect spot but it's hitting a picture across the room. You can just mask in the exposure that doesn't have the reflection. This will, of course, require you to take 2 exposures but that's easy enough to remember. Did you know that your tripod can be adjusted vertically as well as horizontally? I know, this blew my mind the first time I thought about it as well. Different rooms will look better at different heights. For example, for a living room with tall vaulted ceilings, I set my tripod as high as it will go (6 feet, 3 inches). For kitchens, you generally want to be level with the bottom edge of the top cabinets. For bathrooms, you'd want to be a few inches above the counter top. Moving your camera higher will produce a more grandiose feel. Moving it lower will make for a more intimate feel. Use wise judgment in your camera height, though. Just don't put the camera on the floor. With my tripod fully extended, I'm able to reproduce how big and grand this room feels. 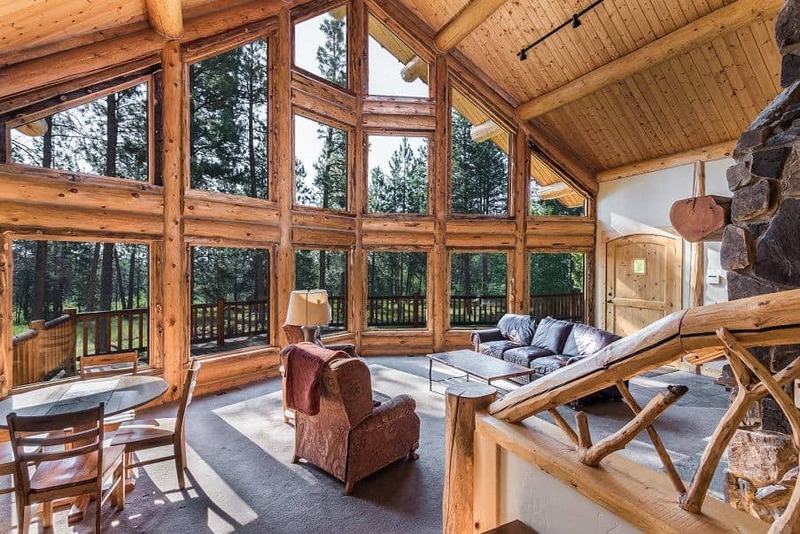 If you have been doing your research into real estate photography, you might have come across the term “flambient.” It is a lovely made up word that means “flash and ambient.” There are about 1,000 different ways to take flambient images and the debate about who's is the best is still ongoing. However, by adding a kiss of flash to your ambient light images you will add color, contrast, and crispness that you can't get with the clarity slider. The basic idea is you take an ambient exposure image, then you take a flash image (bounce the flash off the ceiling or rear wall) and then you import both photos into Photoshop and hand brush some of the flash image onto the ambient image. Viola, a flambient image. There is a way to do this with a single exposure but it requires multiple flashes and the perfect composition to be able to hide or exclude all your speedlights and light stands. You could save some time doing it this way but it isn't always an option. Blending the two or more images together works almost every time. Another method used by most staff photographers is to just point the flash at the ceiling and click the shutter. This usually produces a pretty poor quality image that is only “good enough” for the MLS. But not good enough to impress clients. Instead, buy a couple cheap light stands (I got a pair from amazon for like $30) and move your lights off camera. Not only will you produce more realistic lighting, but you'll now have the ability to use multiple lights to light up hallways, stairways, and distant rooms that will look dark and scary without some added light. Taking your flash off-camera will help you reduce and eliminate shadows that are cast by 1 light. Having 2 or more sources of light will kill those awful shadows. Here you can see flash shadows from the light fixture. Having 2 flashes on either side of the fixture could eliminate this. Having level shots is of utmost importance. You want your walls to be straight up and down. To achieve this, use the digital level in your camera (available in live view mode if your camera has a digital level) or you can be a cheap bubble level and place it in your hot shoe. If you find that your shots are off by a bit (which will happen much of the time) you can use the level options in the “Transform” section of Lightroom's toolbar. I use the ‘auto' button and it does a pretty great job. If you need to figure out your own real estate photography pricing, I actually sell a real estate photography pricing template for just $15 in my Real Estate Photographer's Starter Bundle. In the bundle, you also get a legal contract to use between you and the real estate agent, and 10 Lightroom presets for real estate photography to make your photos look polished and professional. This phrase gets thrown around so much in photography groups. I had no idea what it meant for the longest time. Basically, you want to turn on your live view histogram and expose your image so the majority of that wave in the middle is to the right of center. This means your image will technically be a bit over exposed but that's OK. When you shoot to the right you are getting more light into your camera, making the room look bright and airy. Most beginner real estate photographers make images that are too dark. This will help you until you get a solid grasp of proper exposure. I like to set my camera to +.3 EV to compensate for this and it works in most cases. Of course, you'll always have the exposure slider in Lightroom. I am of the opinion that if I am bumping my image past 1 full stop of exposure, then I should have done a better job exposing it on location. Jim has mentioned before that he likes to use a painter's pole to get some added height to his exterior shots. Going from 6 feet to 12 feet does absolute wonders to making an image feel more impressive and powerful. I use a Wooster Sherlock 8-16ft pole and this painter's pole attachment from Amazon. The painter's pole fits in my car with the trunk lid closed and gives me up to 16ft of extension which has been plenty for every job I've done so far. I like to attach my pole to my tripod with a pair of bungee cords so I don't have to hold it and take photos. 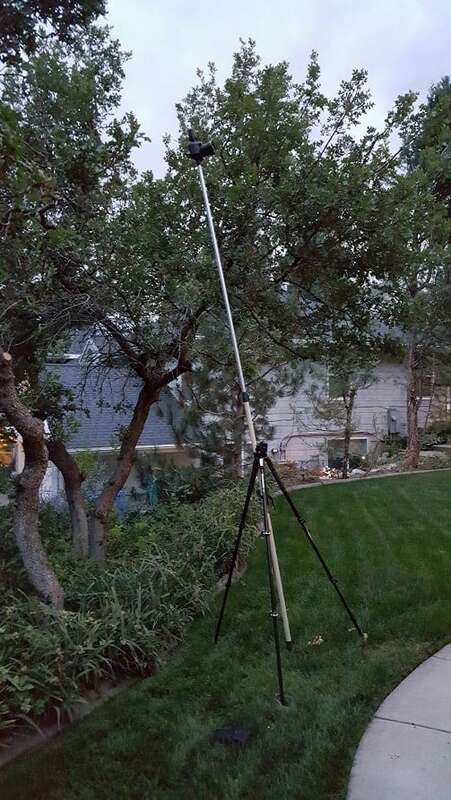 Here is my painter's pole attached to my tripod. It is tipped back a little bit because I was so close to the house and didn't have a tilt/shift lens at the time. 90% of my shots are taken with these settings. At this focal length you get everything in focus and at that ISO you get more “oomph” from your flash so you aren't draining the batteries. Shooting at a low ISO will produce a cleaner image, sure, but no one will notice the difference between ISO 100 and ISO 320 (or even ISO 800, really). One of the biggest obsessions with new real estate photographers is getting that super crisp view from the windows. While this is helpful in many instances, especially if there is a great view, it is also OK to blow out the windows a little. What this means is that the windows are far overexposed based on the interior exposure. If you look at any of the photos in Architectural Digest, chances are the windows will be blown out. Don't be so concerned with getting the perfect view from the windows unless it is the reason you are taking the photo in the first place. I shot one house up on the foothills of Salt Lake City and the agent specifically requested that I preserve the view of the city from the front windows. In this instance, I took 2 exposures (one for the room, one for the windows) and then blended them together. In almost every other room in that same house, I let the windows blow out a little bit and she loved all the photos. This is a simple but often under-appreciated editing technique. Use your color saturation sliders to control window bloom and color casts. Window bloom is when you shoot windows and it is much brighter outside than inside (so, almost always). Bloom occurs when that light “spills” into your interior image and has a blue hue. Most interior lights are “warm white” white means yellow to your camera sensor. To compensate for this, the white balance is adjusted. But now the outside light, “white light,” looks blue. You can quickly kill that blue bloom by knocking down your blue saturation slider a bit. This works well if your exterior photos have some blue casts in them because the white balance was set for the yellow/orange interior lights. The same goes for controlling color casts from different color temperature bulbs. 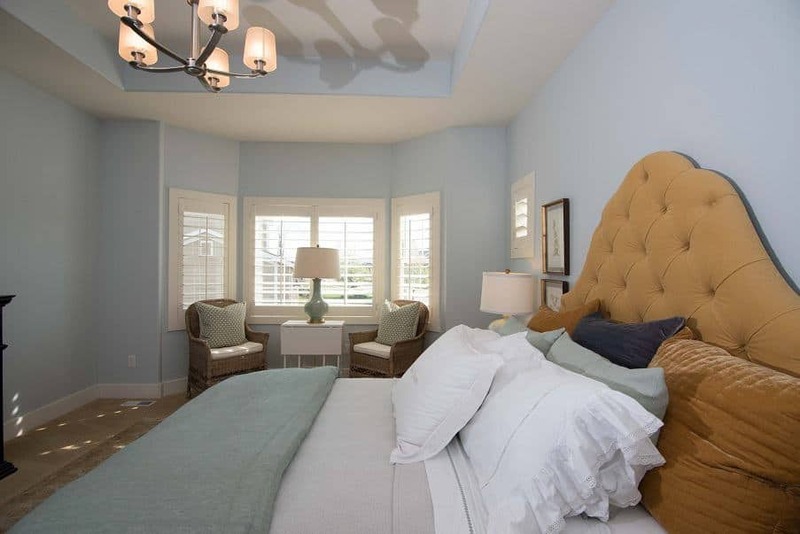 If you have an ugly yellow cast coming from the bathroom lights when you are trying to shoot the master bedroom, just lower your yellow and/or orange saturation sliders a bit to bring them back from a sickly yellow to a nice white color. This will happen all the time if you are shooting with flashes and there are tungsten filament, CFLs (compact florescent lights), LEDs, halogen, and/or daylight (windows) in the same scene (so pretty much every room in every house on Earth). Any field in photography will be cutthroat. The market is saturated with wedding, portrait, and baby photographers. Real estate is no different. Just remember, there's always room for one more good one. The more good photographers out there, the better we all become. A rising tide lifts all ships. With these tips, you'll be able to get a jump start on every other photographer who is just starting out shooting real estate. If you want to know how to get into real estate photography successfully and satisfy your potential clients with beautiful photos of their buildings and interiors, don’t forget about basic photo editing. Cropping, HDR effect, colors & hues enhancement, shadows removal can transform dull images into bright, fresh shots taken from a magazine’s cover. If you can’t do it by yourself, you can learn how to make it in Lightroom via YouTube tutorials or if you have several dollars, address real estate photo editing services and make everything perfect within several hours.